Our used Trigano Alpha GL is shown below, for more information please contact us. This quick-erect trailer tent from Trigano is a hugely popular model and can be set up easily by one person. 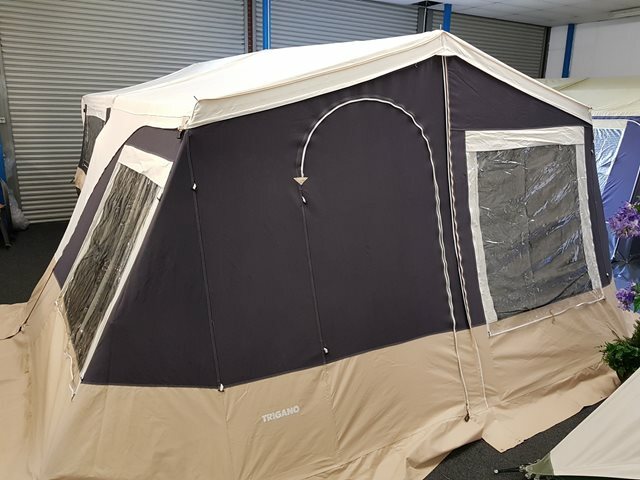 This Alpha is in dark blue and includes kitchen, deluxe sun canopy, side walls and zip in groundsheet, rear annex with inner tent, deluxe Alpha front box, fridge and additional sun canopy! This is at an excellent price and is a bargain for those who wish to tent in complete comfort. For further information please contact a member of the sales team on 01384 636465.